5 Abandoned STAR WARS Projects | Warped Factor - Words in the Key of Geek. "three trilogies of nine films, and then another couple of odd films." So we have the original trilogy, the prequel trilogy, and the new sequel trilogy (which, of course, isn't following Lucas' ideas, but that was what he was referring to), so what were the other "couple of odd films"? ...although not a movie some of these stories were pretty good. Don't get me started on the Ewoks cartoon though! 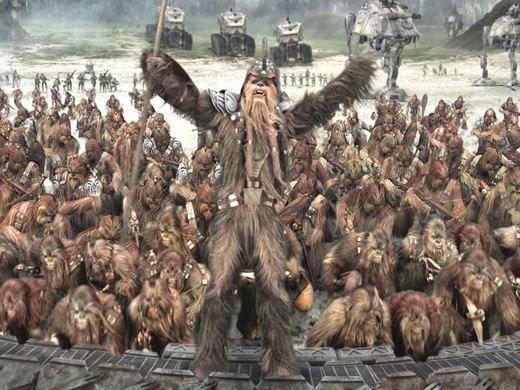 In the same interview with Prevue Magazine, Lucas revealed another of his plans for a movie featuring "Wookiees, nothing else". ...so why was this idea abandoned? Possibly because it had featured in the ill-conceived Star Wars Holiday Special and may have put off any studio looking to bankroll the project. Still 100% better idea than Caravan of Courage though! Star Wars: Underworld was the working title for a proposed live action TV series that first came to the public's attention in 2005. The series was supposedly going to be part Star Wars, part Battlestar Galactica, and part Deadwood, and set between the prequel and original trilogy. 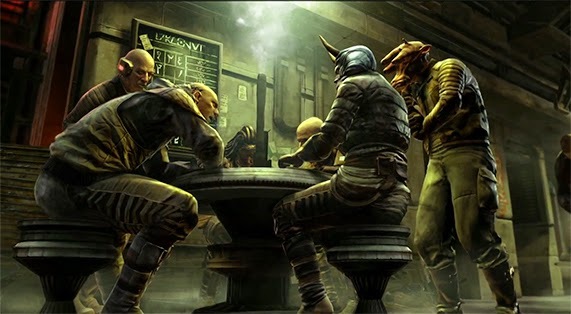 Rick McCallum revealed the show would revolve around "the Empire slowly building up its power base around the galaxy" and a "group of underground bosses" who live on Coruscant and control drugs and prostitution. Entertainment Weekly later expanded on this, stating the series tells "the story of rival families struggling over the control of the seedy underside of the Star Wars universe and the people who live within the subterranean level and air shafts of the Empire’s urban-sprawl-covered home planet." Both Ronald D. Moore and Matthew Graham were attached as writers, with Lucas revealing in 2011 that 50 episodes had been written but the series was on hold awaiting advances in technology and reductions in prices. When Disney purchased Lucasfilm they reportedly said this series was something that they were interested in but since then the project appears to have been abandoned. Maybe 'the mouse' wasn't keen on the seedy side of the Star Wars universe? If you were in attendance at the October 2013 Brand Licensing Europe show, which took place in London, then you may have flicked through the brochure handed out to all attendees. One page (and you can view it here) was all about the timing of the upcoming releases from Lucasfilm. Star Wars Episode VII was listed as "Spring/Summer 2015", the original intended release date, and the Star Wars Rebels animated series as "Fall/Winter 2014." Also included for Spring/Summer 2014 was "Darth Vader Themed TV Specials." Now Spring/Summer 2014 has come and gone, and in fact there's been no more news about this project at all. No-one knows if this was a new dramatic production or something entirely different. But why was it abandoned? It's possible that it hasn't been, after all these 'specials' could just be documentary based and possibly shown closer to the release of Rogue One this coming December. 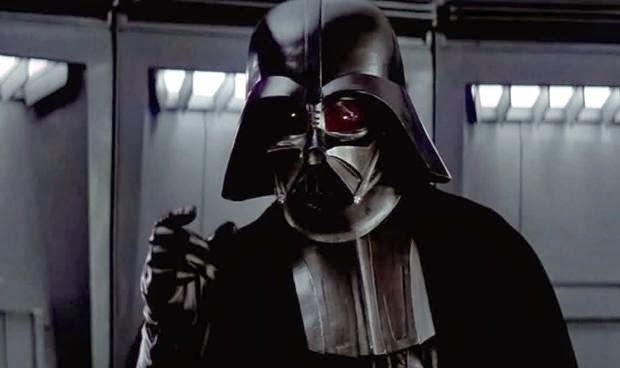 After all, Vader is said to be making an appearance in that film so there could be a special or two lined up to look back at the character. Time will tell. 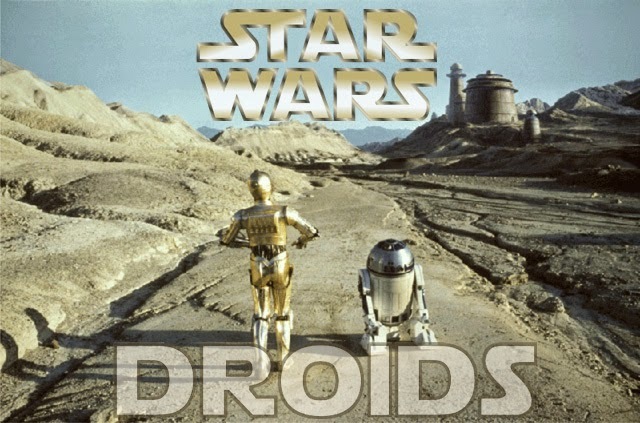 Announced at Star Wars Celebration VI in the summer of 2012, Star Wars: Detours was to be a computer-animated comedy science fiction television series produced by Lucasfilm Animation in collaboration with Robot Chicken creators Seth Green and Matthew Senreich. Once again it would be set between the prequels and the original trilogy. 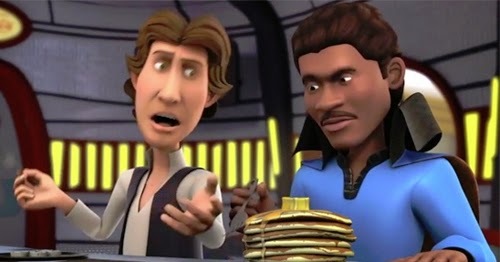 ...The impressive cast included Dee Bradley Baker, Abraham Benrubi, Ahmed Best as Jar Jar Binks, Anthony Daniels as C-3PO, Felicia Day, Donald Faison, Nat Faxon, Seth Green, Jennifer Hale, Zachary Levi, Joel McHale, Breckin Meyer, Dan Milano, Cree Summer, Catherine Taber as Princess Leia, Billy Dee Williams as Lando Calrissian, "Weird Al" Yankovic, Grey DeLisle, and Seth MacFarlane as Palpatine. So why was it abandoned? Well it's "officially postponed" right now, with Lucasfilm/Disney not convinced that releasing a Star Wars comedy series whilst they are producing the new movies would "make sense". But I wouldn't bet against at least those 39 completed episodes appearing within a few years, Seth Green himself recently said he still remains positive that they will see the light of day.